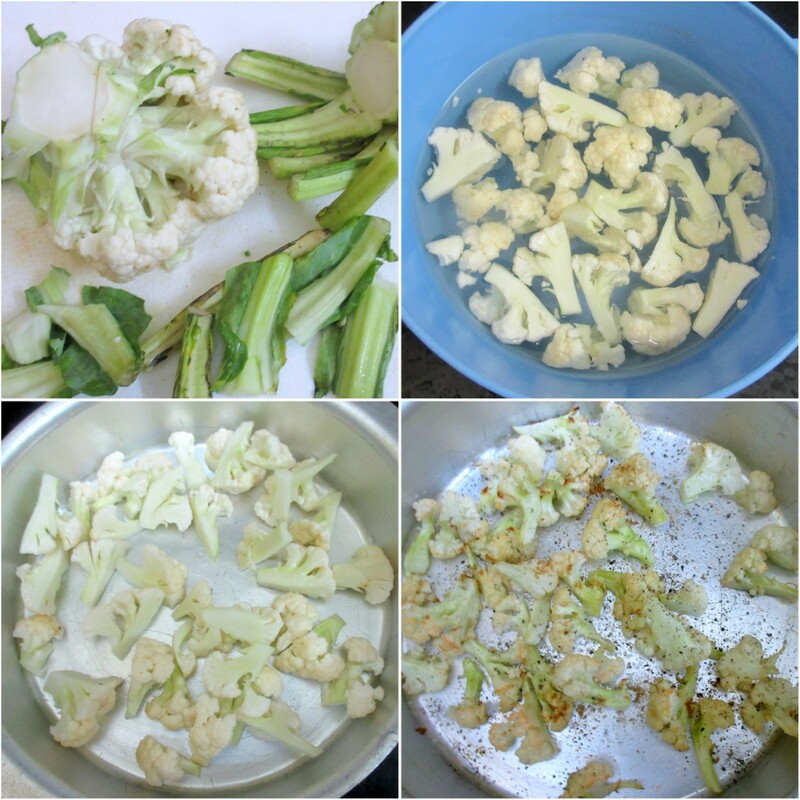 For the second day of Baked Vegetable, I roasted come cauliflower. This was again one of those simple meals I prepared, while staying indoors. 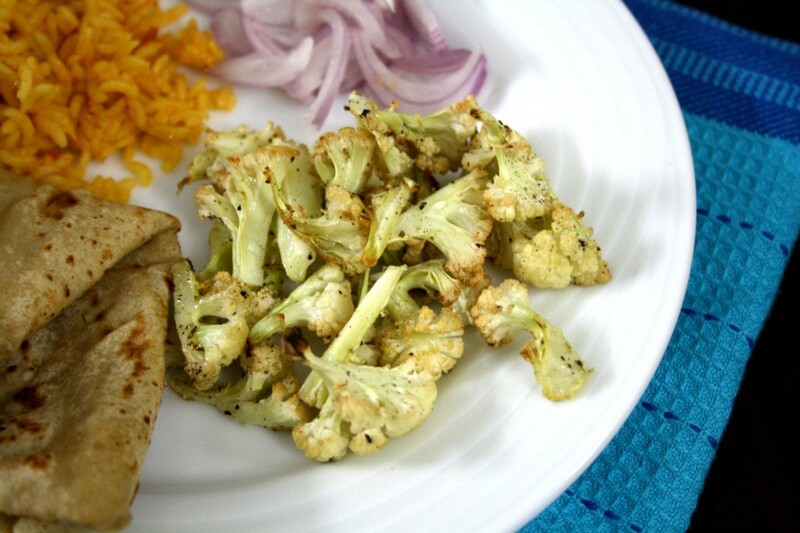 I liberally sprinkled these cauliflower with roasted cumin and pepper. It was quite delicious on its own. I made this couple of days back during lunch. 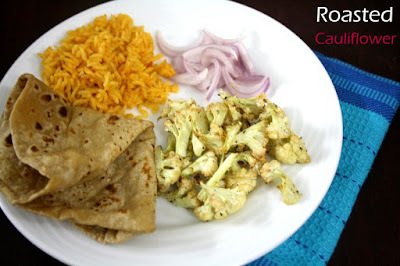 The meal was one pot pulao along with roti and onion Raitha. I had already stocked these cauliflower to make these roasted ones. As such we didn't have other vegetables stocked. So this make a good meal. Wash and soak cauliflower in hot water for 10 mins. Drain well. Pre heat the oven at 200 C. Sprinkle olive oil on the florets along with salt, Spread the florets in one layer. Bake for 10 mins. Remove and sprinkle pepper and cumin and bake again for 10 mins.